Thank you for continuing to let us know what you really want. Bar soaps are amazing in the shower, but sometimes you just need instant foam at the sink so you can wash and go. 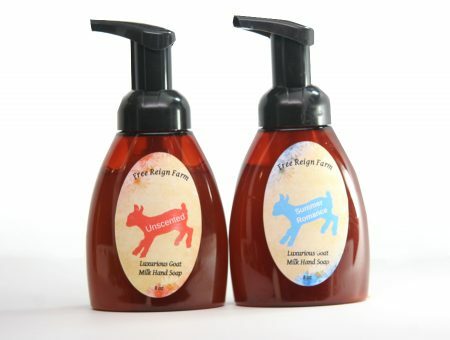 Introducing our instant foam goat milk soap…perfect for hard workers who appreciate convenience but never compromise on the quality of their soap. Long gone are the days of fussing with a soap dish to keep your soap dry. Now you can have the moisture of goat milk in a quick, easy, convenient foaming pump. 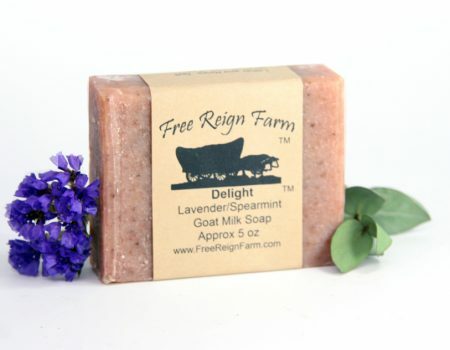 Every ingredient that is in the Free Reign Farm Goat Milk Bar Soap is in this foaming soap! Once you try it, you’ll love it. I’ve been a bar soap lover for a long time so I was taking a gamble when I ordered this foaming soap. I’m hooked! The lather is so rich and creamy and it leaves by hands feeling so soft! I love it! 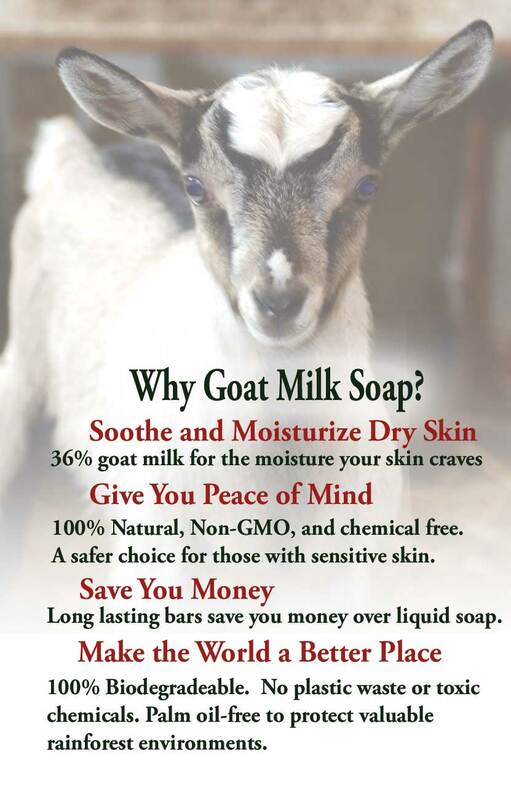 The Lavender foaming goat milk soap is wonderful. It makes your hands feel good and smells wonderful. My grand baby even comments on the smell of the soap when she uses it to wash her hands. 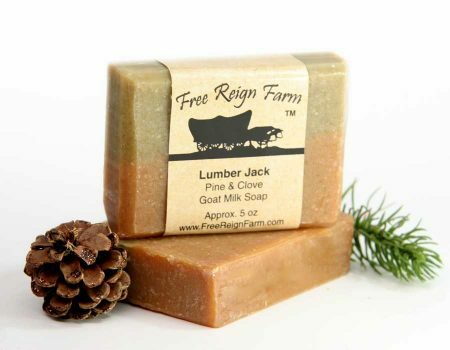 My favorite bar soap is Promised Land, but the other scents I’ve ordered have all been great too. This is the best foaming hand soap you can purchase. It leave your skin silky smooth and they don’t dry out. You will absolutely love any product you purchase. 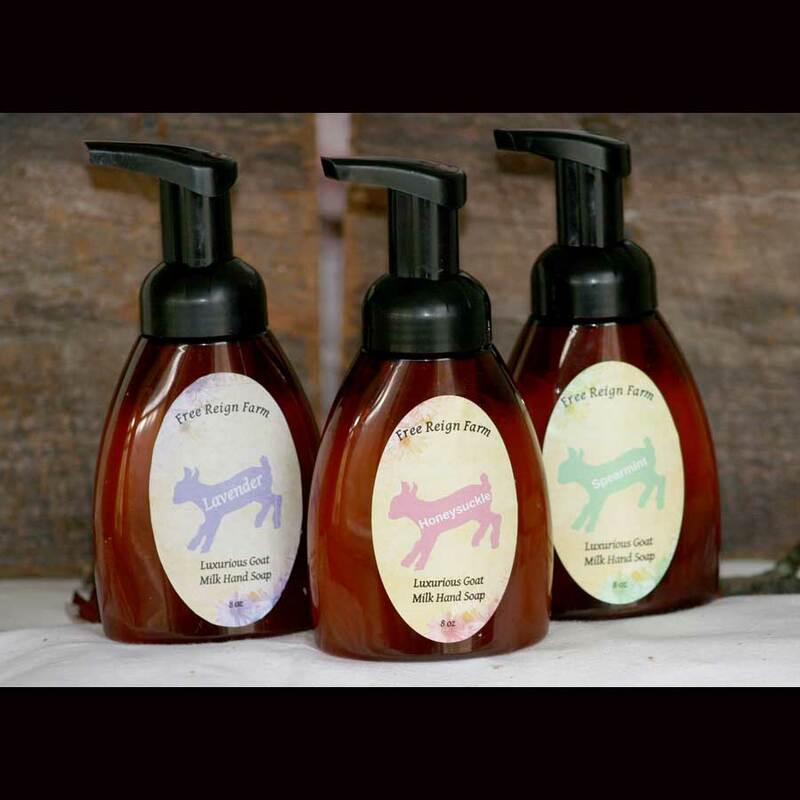 Best foaming soap we have tried. We plan to continue using it and trying the different scents. Our hands are left soft and squeaky clean and the foam is rich.